GM has long been selectively hiding by the legal shield the 2008 bankruptcy created, but if that shield no longer applies they're going to have the pay up. At issue right now is a case brought by the owner of 2008 Chevy HHR who says the resale value of his bad PT Cruiser copy is now less than it was and he wants GM to make up the difference. The case is in front of a U.S. Bankruptcy judge who will determine if New GM is responsible for old GM problems. What happens if he wins? It sets the possibility that all the pending cases against GM could go forward and set up a class action lawsuit. If Gerber rules that vehicle owners can try to collect economic damages on pre-bankruptcy cars, it would add about $2 billion to the potential payout — making GM’s liability for statutory damages roughly $2.5 billion in all, according to this analysis. And it only gets worse for GM from there, but hey, they're offering a $25 gift card to people who get their cars recalled. Toyota's SEMA concepts seemed to be infused with the kind of swagger that only comes with "farting loudly in a private jet and no fucks given" kind of money, which they seem to have. Toyota's quarterly revenue was up and they project that they'll bring in a record $17.6 billion net profit next year, according to the WSJ. A lot of this can be pegged to the weak yen as Toyota exports 40% of its global production from Japan, they report. It also helps that they're grounded to the ground. GM continued to pick up market share in China through October as their partnership with Wuling put a lot of people into those tiny vans everyone seems to love. “GM gained a lot of market share from their minivan competitors this year through discounts and a strong reputation,” said Marvin Zhu, a Shanghai-based analyst at researcher LMC Automotive. Wuling’s quality and service is perceived to be better than other local brands, Zhu said. Ford and Honda must not benefit from that perception, because sales for both automakers dropped in China. We're still feeling the fallout of 2008 and the reality of an expanding market, which together combine to produce a lot of merger. A total of 250 mergers and acquisitions were completed in the global automotive industry over the first six months of this year, according to a study completed by PriceWaterhouseCoopers. That’s a 13% increase compared with the 222 transactions completed during the first half of 2013. The deals, valued at $27.5 billion, also are valued at more than twice the $13.1 billion in estimated value for the same period last year and is the highest total value in seven years, according to PriceWaterhouseCoopers’ M&A Insights report. It's the way of the future. Ford is recalling approximately 200,000 vehicles or, as GM would say: Ford had a pretty great day yesterday. This is a grab-bag announcement that includes Panthers that may have been improperly repaired in a prior recall (recall inception! ), there are some serious recalls for Flexes and F-150s that might not deploy airbags. There are even a handful of 2015 Ford Transits that have a screwed up bracket that could result in fuel starvation and engine starving. If you own a Ford just take a gander at that list to make sure you're not on it. On November 5, 1895, Rochester attorney George Selden wins U.S. Patent No. 549,160 for an "improved road engine" powered by a "liquid-hydrocarbon engine of the compression type." With that, as far as the government was concerned, George Selden had invented the car—though he had never built a single one. 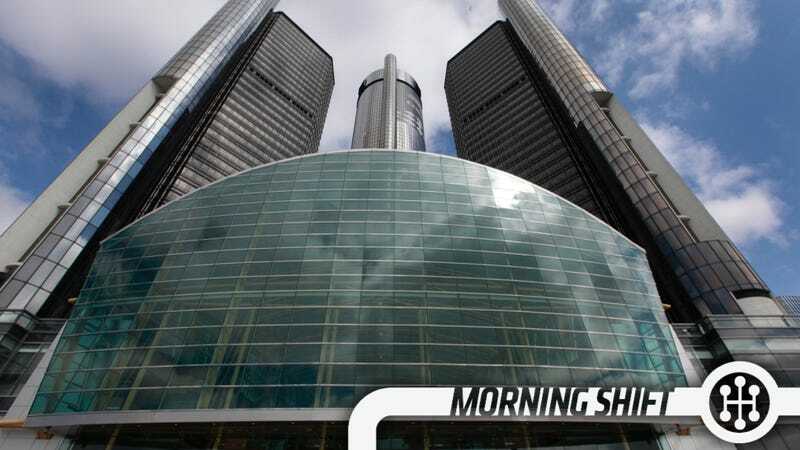 Neutral: How Much Is GM Going To Lose On Recalls? $1 billion? $2 billion? $5 billion? What's the final tally when we look back on the fiasco?